Geishas are traditional female entertainers who act as hostesses and perform a variety of classic Japanese arts for male clients (quoting wikipedia). While dwindling in number, geishas only perform for select clientele, and I understand it to be by invitation only. 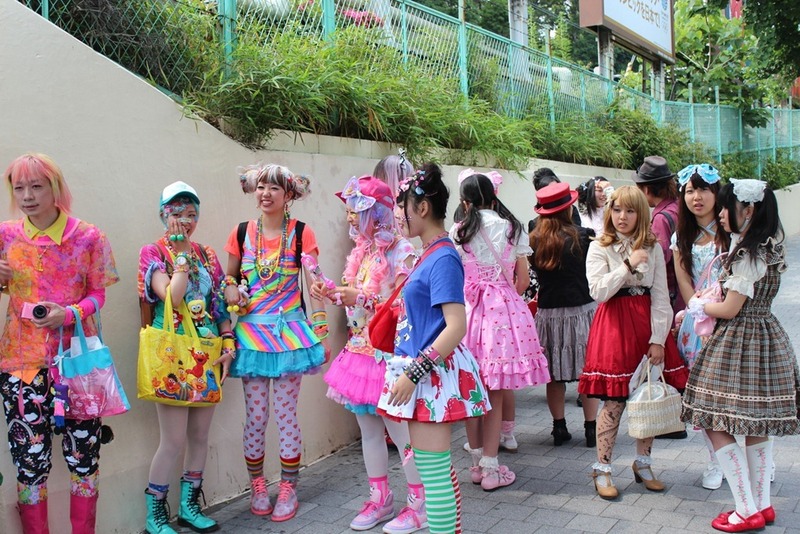 Since they perform in the evening and since they DO NOT pose for photos (if they do, you probably found tourists dressing up as geishas), your best bet is catch them heading to or coming back from a performance. Since they tend to perform in the evening, your best bet is to catch them on the way to a performance – since the lighting is better and these ladies move fast. 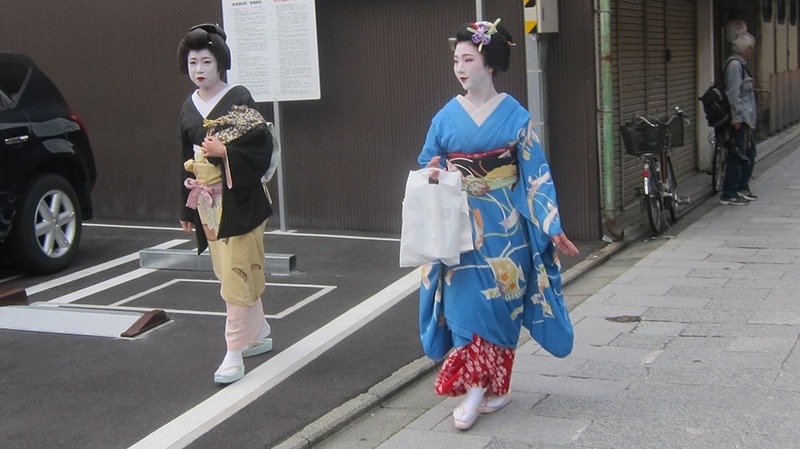 A point and click was barely fast enough to catch these geishas! 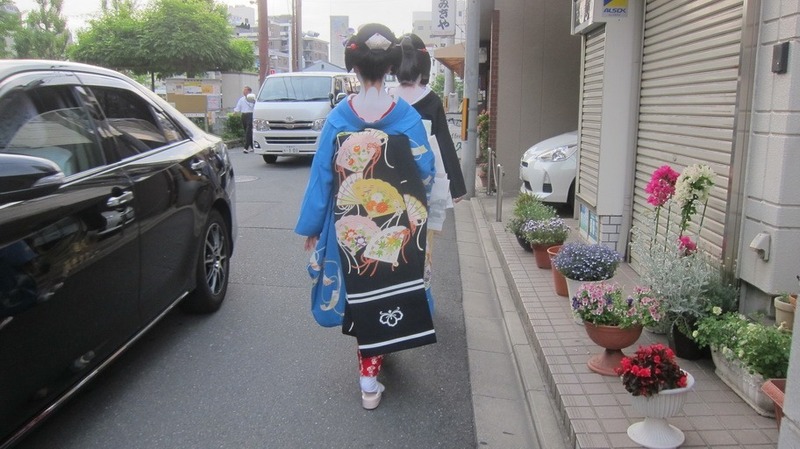 In our case, we just happened to luck out – our Airbnb was in a geisha neighborhood, where presumably a number of them lived and we left for dinner each day promptly 5:30 – 6:00pm since Baby Selfish’s sleep schedule demanded it. Every night, we saw cars waiting to take the geishas out and throngs of Japanese tourists armed with the latest camera equipment vying for good positions. Head north of Kiyomizu Station or South of the Gion station until you reach Matsubara Dori street, then head due East three streets. If you’re there around 5:30 you should be in luck! Here’s what the street looks like during the day (thanks Google!). 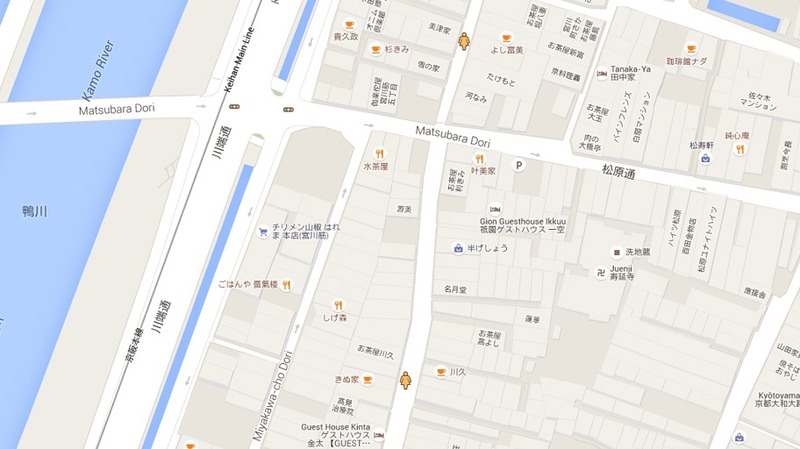 Another easy way to find the street is by using Google Maps to searchfor “Guest House Kinta” which is only 200 feet South of where we tended to spot them. Alternately, here’s our map of Kyoto. 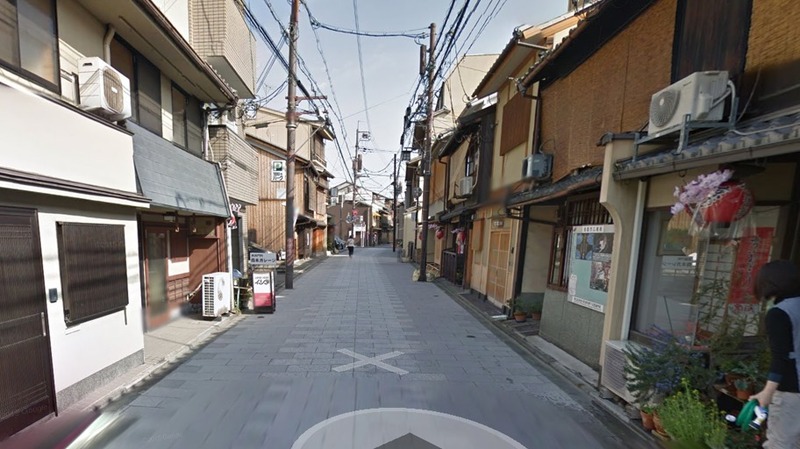 The street with the two lady signs marks the strip of road where we spotted 2 – 4 geisha a night.